A quince trees is an attractive addition to a garden providing interesting blossom in the spring and golden fragrant fruit in the autumn which can be turned into delicious jams and jellies. They are relatively easy trees to grow. They should ideally be planted in full sun. They crop best in warmer, sunnier parts of the country. In cooler regions they should be grown in warm sheltered locations. 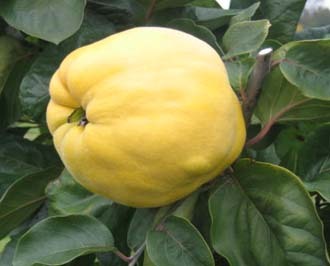 Further information on quince trees can be found on Quince Trees Advice Page. 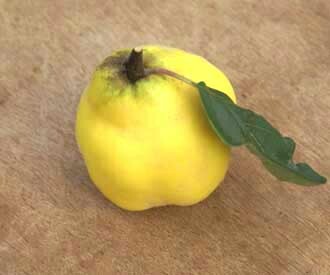 Click here for a guide to choosing quince and medlar trees. A very good quality large pear shaped quince with attractive bright yellow fruit. 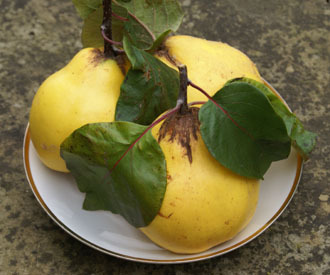 A very high quality sweet quince named after the ancient city of Isfahan in Iran whence it originates. A very reliable cropper producing good crops of pear shaped fruit excellent for jelly making. 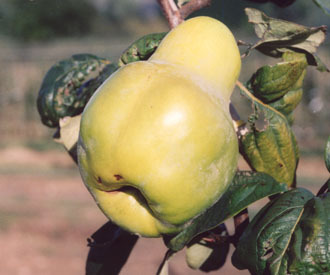 A very large pear shaped quince. Reliable cropper with quality fruit.